Here in SWFL, not only has it been hot, it has been unhealthy to be outside! 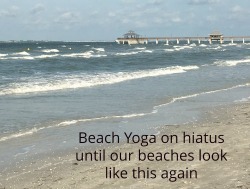 Many of us living on the Gulf Coast of Florida are watching with dismay as our beautiful waters are filled with algae and our air quality from the toxic Red Tide is making us sick and keeping everyone away from the beaches and other water areas. This is not only an economic and environmental disaster, it is a health disaster. Trine Andersen, who lives on the Cape, provided this picture to me. “I have been coughing and had chest pain for over a month now. This will have very long-term and horrible consequences for both our environment, our wildlife and us humans,” she told me. 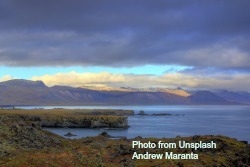 24 years ago I realized that our health was intricately related to the health of the environment. I was an environmental activist at that time, lobbying in Richmond Virginia for the health of the Chesapeake Bay. I was pregnant with my second child. In Virginia, the protection of the Chesapeake became a rallying cry. The politicians responded by realizing how important a resource this body of water was and continues to be for the health of Virginia’s economy, animals, and people. The laws protecting the Chesapeake Bay have withstood the test of time and lack of concern for the environment in recent years. 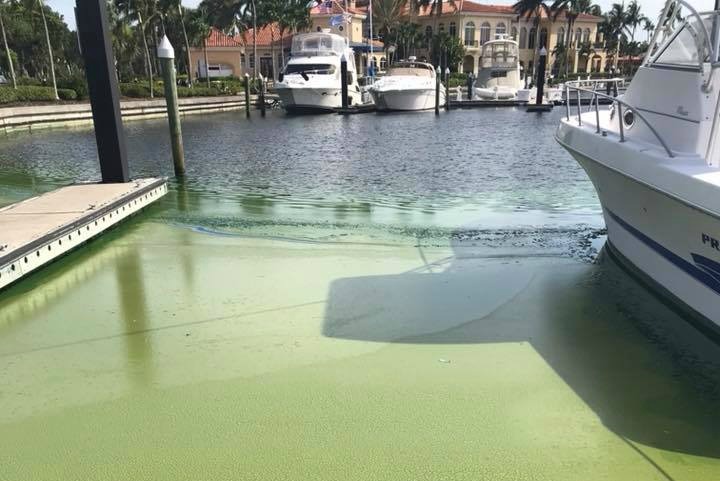 Here in Florida, when it comes to this issue, we are literally and figuratively putting our heads in our stinky sand, failing to realize that our economy is based on our beautiful environment. To continue to stand by our sugar industry, which is not only contributing to this problem but much of our current health problems makes little sense to me. Toxic Lake: The Untold Story of Lake Okeechobee from Weather Films on Vimeo. It is the same concept that if you eat crap, it will eventually make you sick. What we do upstream affects downstream. 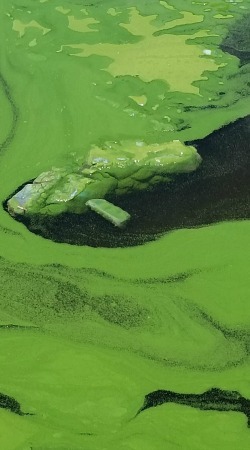 Cleaning up Lake Okeechobee is needed to restore the health of the entire Florida ecosystem. Let’s be mindful of what we put in our mouths, too. 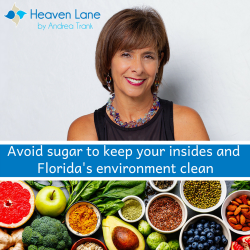 Every time you eat something with sugar, it is not only harming your gut ecosystem directly but it is also indirectly harming Florida’s ecosystem. I don’t have all the political answers, but I do know that what we do as consumers makes a difference. 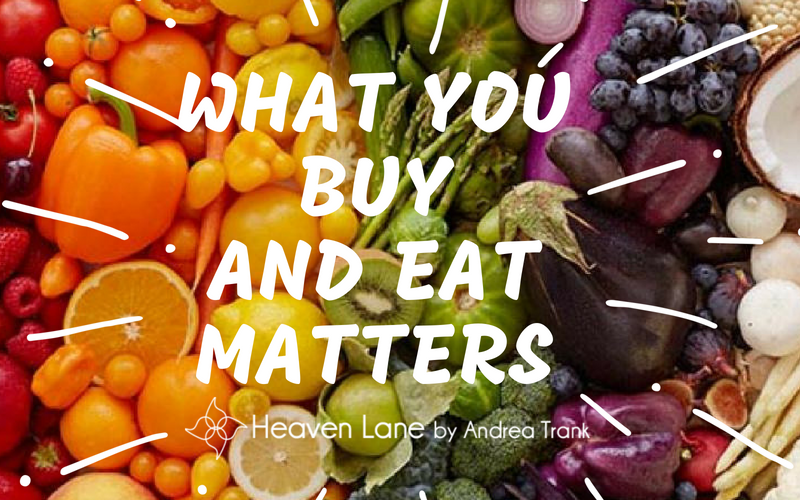 If you need help, changing what you eat so that you don’t end up sick like our waterways, please feel free to contact me through my website contact page or by emailing andrea@heavenlanecreations.com for a FREE 30-minute consultation, and discover how Heaven Lane can work with you on the path to health and happiness.